The aerial spraying side trimming system is similar to the aerial saw in that it is suspended vertically beneath a helicopter. Since vegetation conditions differ, the system can be modified to maximize efficiency. 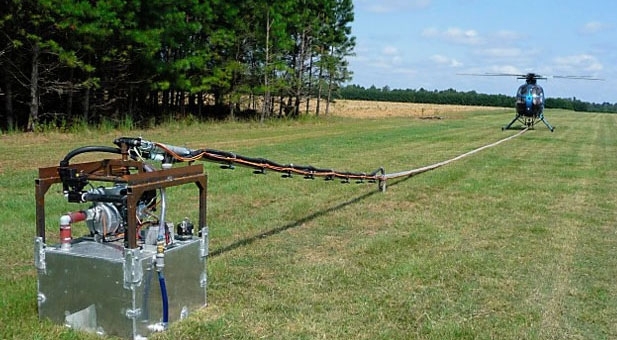 The vertical boom dispenses a bud inhibitor; and uses its unique side spray system to all but eliminate drift potential.